he convenience of a wireless system can be very tempting when you are looking to upgrade, or are purchasing a new video surveillance system. The wireless security systems provide you with more flexibility in location for where you install your system, and can drastically reduce the number of cables you need to run by connecting to the cameras using Wi-Fi internet. So our goal is to break down this system and help you to choose the best surveillance camera system solution for your small business! With that being said, there are two different kinds of wireless security camera technologies. These are Wi-Fi Cameras, and Point to Point Wireless systems. These two systems have distinct advantages and disadvantages unique to each, and we’re here to help you to choose the best system for you. All-in-one Wi-Fi security cameras are popular with both homeowners and small businesses. These cameras come in a wide variety of shapes and sizes, but all are generally small, affordable, and easy to use. 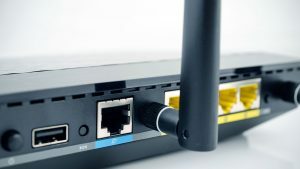 Usually these kinds of set ups should only be used for smaller scale systems, which is due in large part to too many Wi-Fi cameras on one network potentially overwhelming your router’s bandwidth. While both homeowners and business owners can take advantage of these systems, we’ll be approaching it mainly from a business’s perspective. The majority of these cameras will only have basic features, so if you require specific features or advanced functionality your options will be fairly limited. That’s not to say you cannot find Wi-Fi surveillance cameras with advanced features, it simply isn’t as common as it is for wired solutions. It should also be noted that very few cameras are actually battery operated, this means your Wi-Fi cameras will still need a wired power in order to function. So while you may not need to run cable to your wireless cameras, you will still likely need a way to power them. If you need to install more cameras, cover a larger area, or require specific or advanced features, a wireless point-to-point system will usually be a much better option. This type of system allows you to turn an existing IP system into a wireless system by linking cameras with wireless antennas. This kind of set up will allow you to have the advanced functionality and overall powerful systems that are common in IP surveillance systems. Point-to-point wireless systems use powerful antennas to connect cameras over large distances (although they should usually have line of sight ideally), such as connecting surveillance systems in multiple buildings on one property, a retail store and its parking, or any number of other areas you may want to have greater security camera coverage. These cameras are connected via their wireless antennas to your video management system or other system to connect to the individual camera feeds. Like the other systems, it is important to keep in mind that cameras like these will almost certainly require power run to it in order to function. This being said, it is usually cheaper and easier to simply run electricity out to various cameras as opposed to both electricity and surveillance camera cable. It is important to consider when looking at upgrading or installing a new wireless surveillance system, that there are a limited number of VMS and other IP system that support wireless connectivity. Despite the limited number of choices, it is still feasible to utilize these systems to fit a budget. Wireless IP system costs are at an all time low so it is feasible to get an advanced wireless security system for your business with all the benefits that are included in that. These wireless IP systems work great in tandem with other wireless access systems. We covered in much greater detail some of the many ways you can incorporate mobile devices to access your security and surveillance systems. You can read more about that HERE! 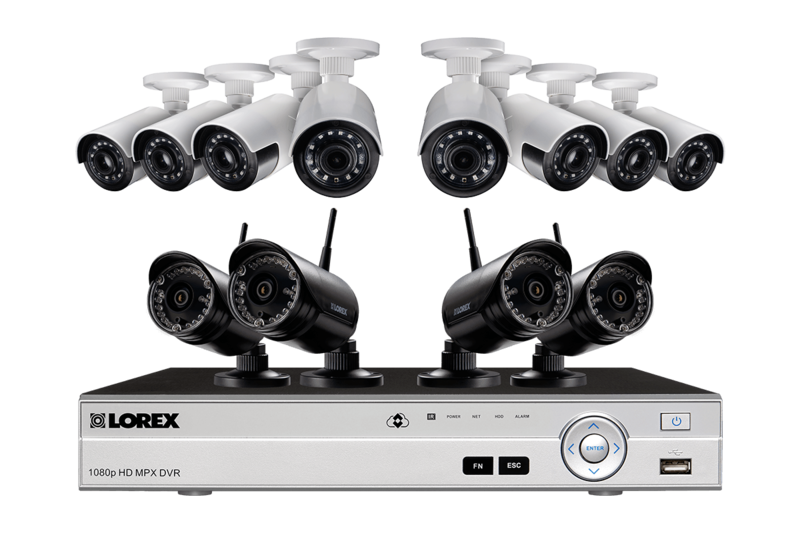 Speaking of the benefits, these wireless IP security camera systems come with a lot of them. Ranging from multi-building coverage, up to a ten-mile range, and countless more. The long range features may not be utilized by every business, however, the capability to have all the buildings, parking, and other areas of your business entirely covered by one universal security and surveillance system provides a unique solution for larger businesses. For smaller businesses, the main draw of wireless security systems is usually going to be the flexibility and level of coverage that the wireless systems provide. The ability to cover all important areas of your business, both indoor and out, without needing to run cabling to the various camera locations allow small business owners to get the most from their security camera system. 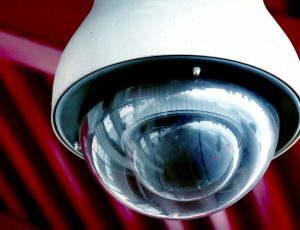 Should you use Wi-Fi Security Camera Systems? As with most security solutions, it is important to know exactly what it is that would best suit your needs. Whether you need a complete multi-building solution or a simple Wi-Fi system for a small business, working with a security professional it is important to create the most effective security system for you. If you’re not sure if you should upgrade or get an entirely new system,we can help with that as well. We compiled some information that should help you to decide what solution would be best for you here! But as always, whether you’re upgrading or looking for an entirely new system, we can help! Feel free to contact us at 504-533-0005, or by web here!